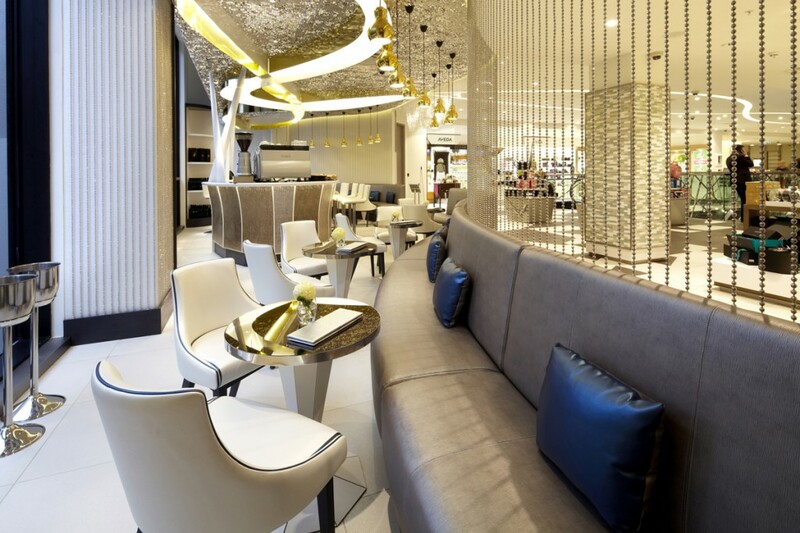 Beauty Bazaar is a new and unique beauty and retail concept from Harvey Nichols, opened late 2012 by the beauty and fashion industry elite. 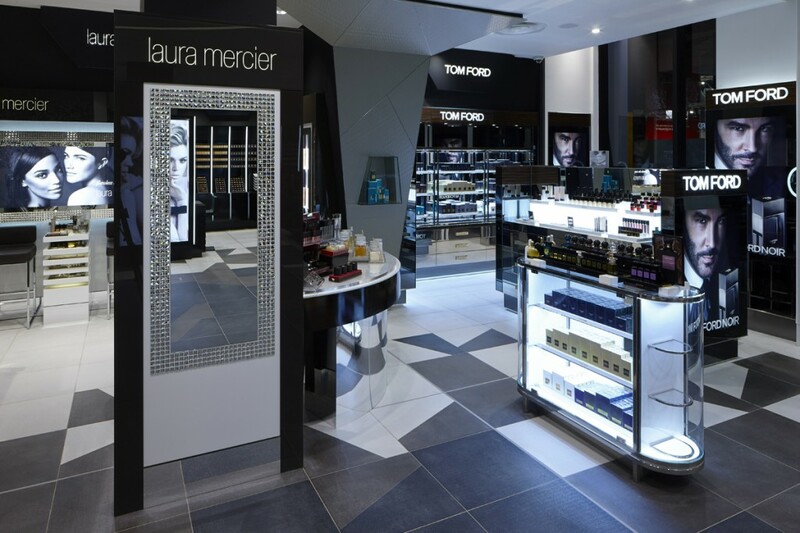 into lighting were lighting design consultants to the project and lighting works included: external facade, ground floor retail, first floor retail, second floor entrance lobby and treatment rooms. 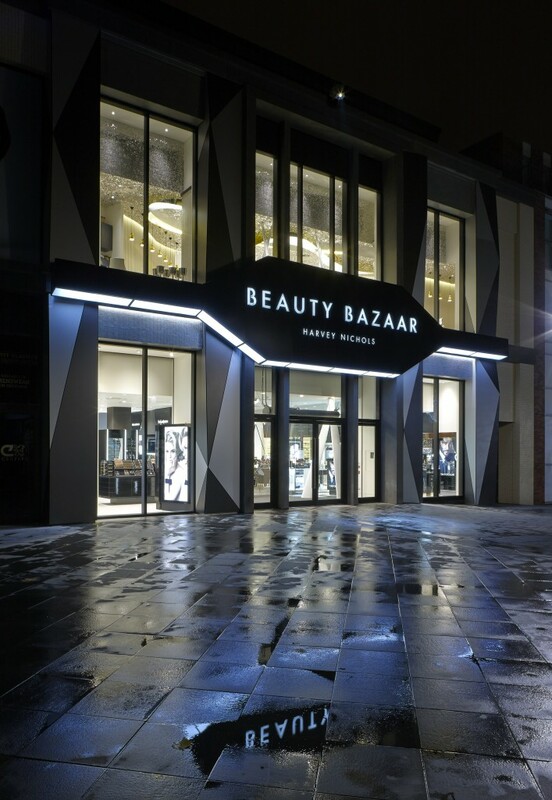 A dramatic store entrance was created with back-lit LED light boxes on the façade and an LED image projector shining the logo onto the paving. 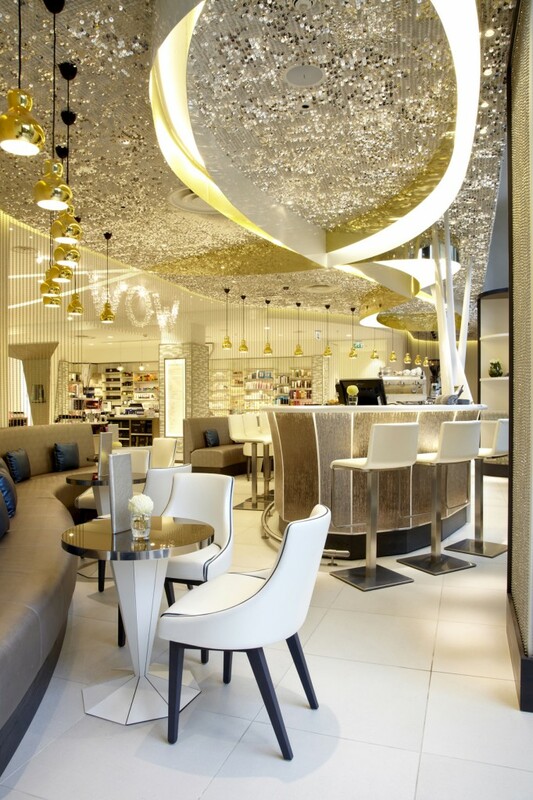 A ‘WOW’ bar on the first floor has metallic troughs running across the ceiling above. 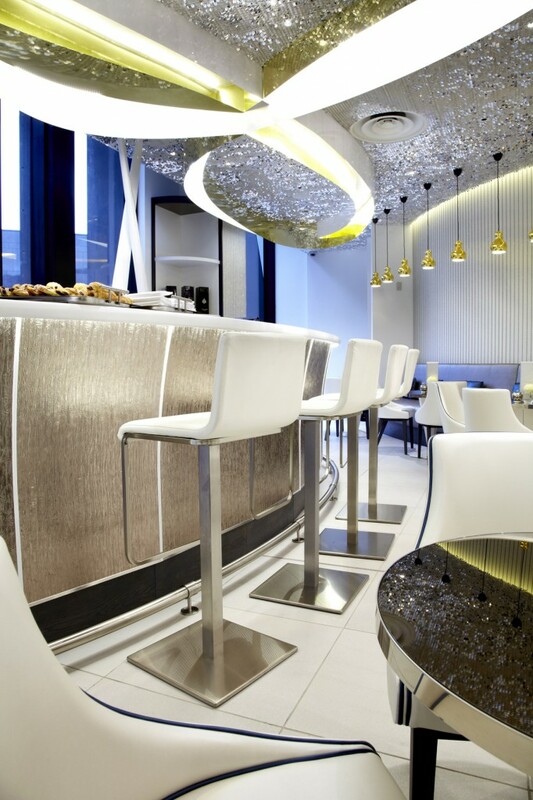 These were lit internally by integrated warm white linear LED strips and narrow beam LED downlights. 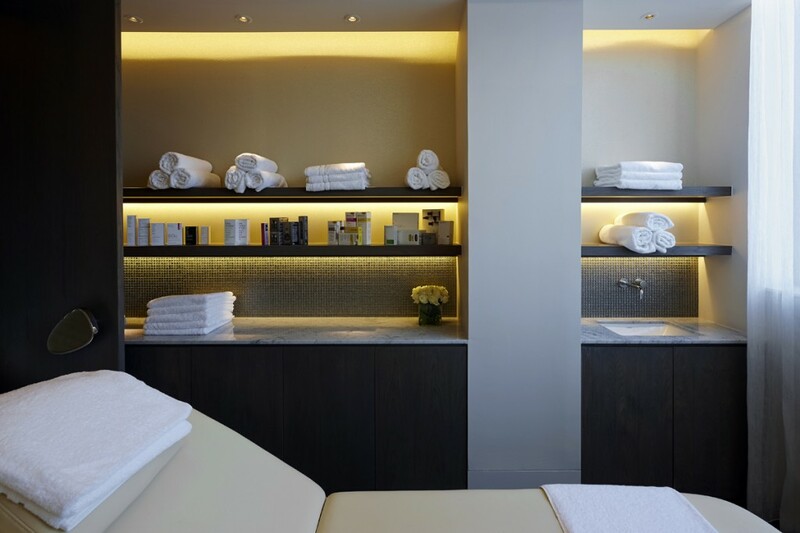 The lighting alters between the first and second floors, from retail to leisure and concealed LED’s provide warm lighting to the treatment rooms. 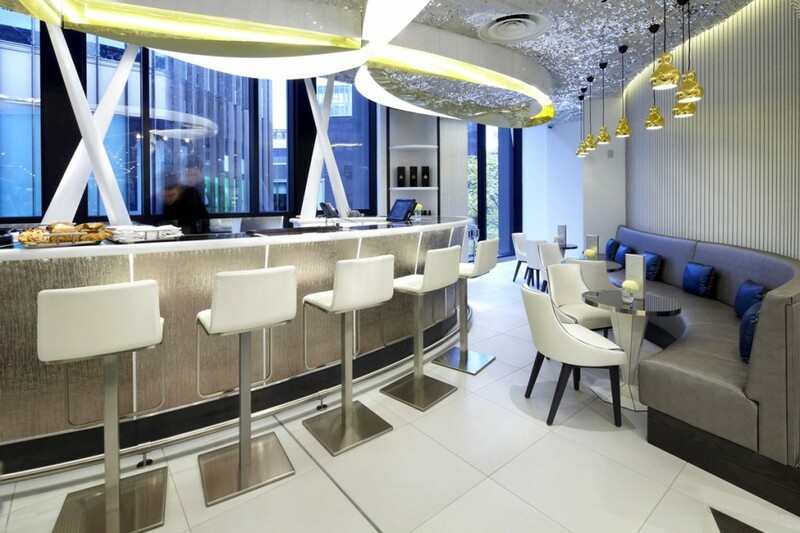 The extensive use of LED’s means the lighting scheme is very energy efficient. 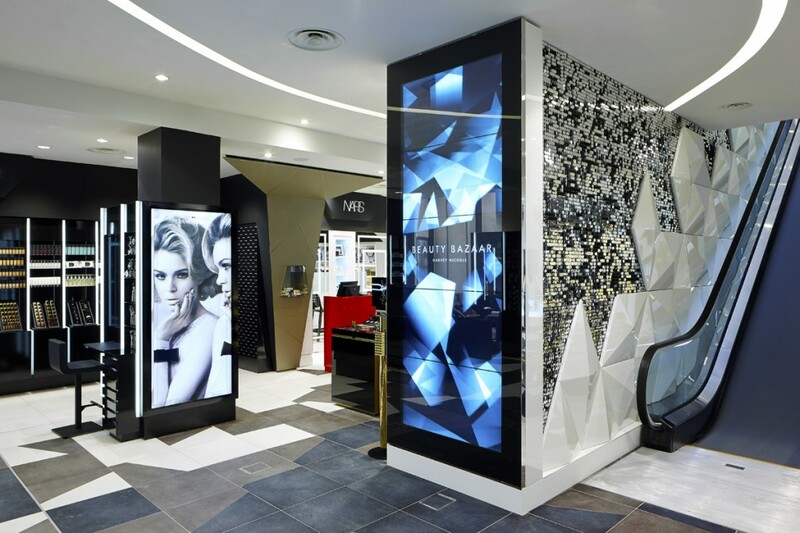 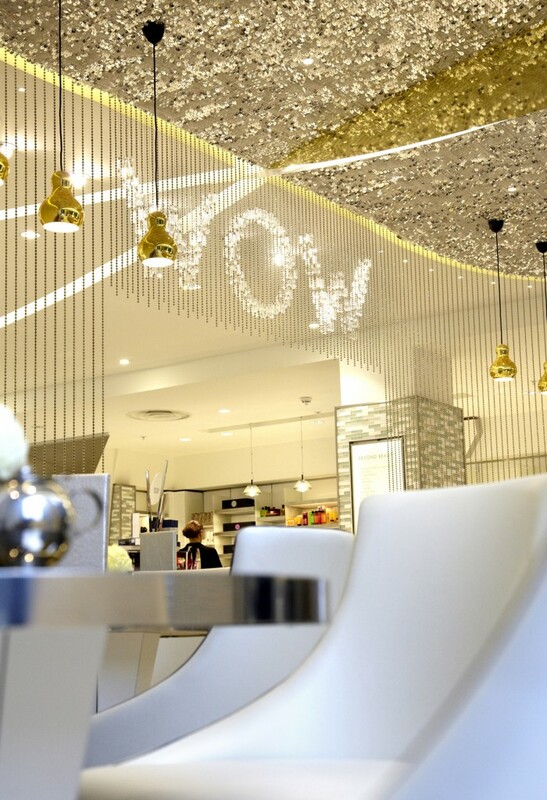 The lighting effect at the ‘WOW’ bar creates a unique retail environment and into’s design at Beauty Bazaar was a finalist at the 2014 Lighting Design Awards in the Large Retail category.